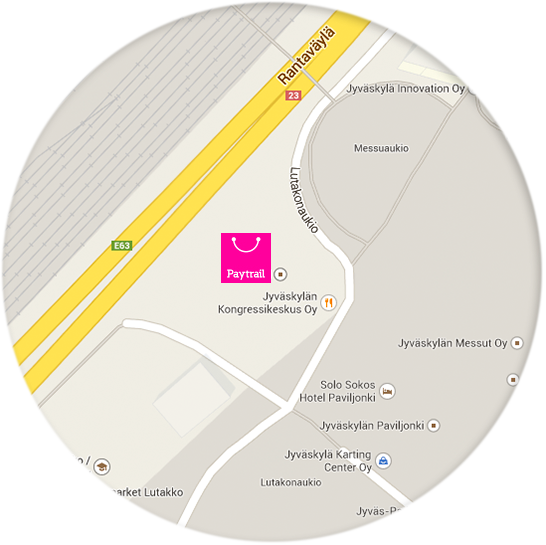 Paytrail is a Finnish payment institution. 10 000 ecommerce and web services. If you see Paytrail on your statement, it is because we have processed the payment for the website you purchased from. Should you have questions about your order, or need to make changes to your order, please contact the website where the purchase was made. Feel free to contact us should you not recall to whom the payment was made, or for any other questions related to the payment. Please contact us at the phone number above during the office hours of 8.00-19.00 UT +2/3 on weekdays. On weekends and after hours, please send us an email. Call costs: Landline phone 0,0835 €/call + 0,1669 €/min (VAT 24 %). Mobile phone 0,0835 €/call + 0,1669 €/min (VAT 24 %). When buying from an online store that uses Paytrail's payment service, you can pay using your preferred payment method: online bank payment, credit or debit cards, invoice and installment. Each online store selects which payment methods they choose to offer their customers, so available payment methods may differ. Paytrail Plc is a licensed payment institution authorized by the Finnish Financial Supervisory Authority, which means we have been required to set up stringent security measures. Since the company's establishment in 2007 (under the name Suomen Verkkomaksut Oyj), more than 6 billion euros have passed through our system. Rest assured that your payment is secure. We comply with all laws and regulations and take security matters extremely seriously. 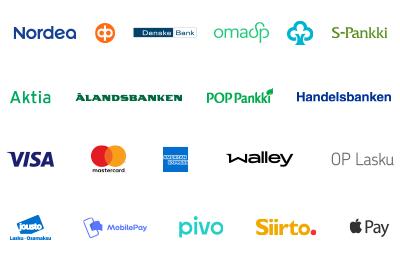 We cooperate with banks and other financial service providers to continuously build secure and functional practices for doing business online.